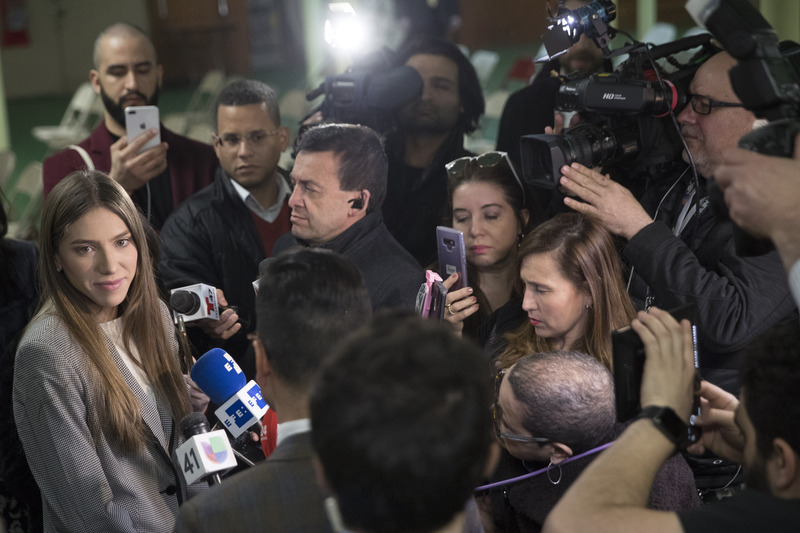 LIMA, Peru (AP) — With her youthful energy and globe-trotting, the 26-year-old wife of Venezuelan opposition leader Juan Guaido is emerging as a prominent figure in his campaign to bring change to the crisis-wracked country. Fabiana Rosales' age and informal dress, often jeans, while touring Latin America belie an inner toughness and maturity cultivated with her activist husband during violent street protests in Venezuela's capital. Her husband has since claimed Venezuela's interim presidency with the support of dozens of nations including the United States, setting up a standoff with President Nicolas Maduro, who refuses to step down amid what he calls an attempted coup. 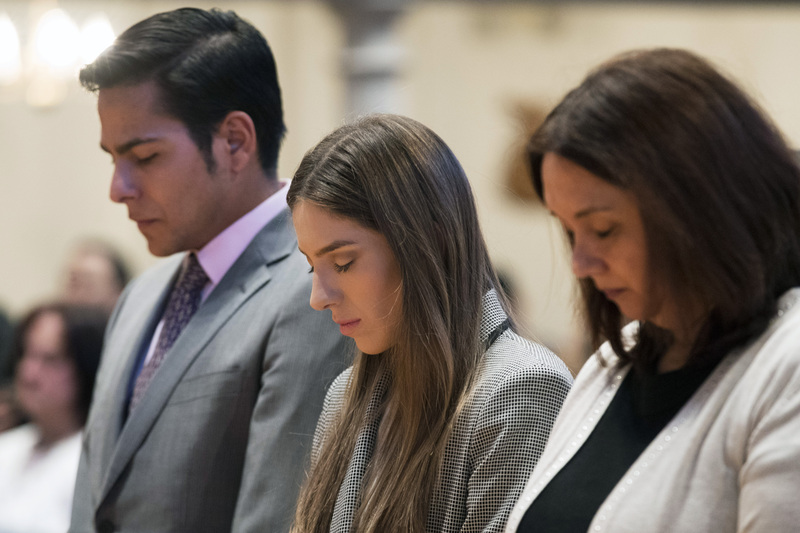 "Look, I am the wife of President Juan Guaido and I will accompany him on whatever route he takes and we will overcome whatever obstacles we face as we have done through all our years together," Rosales said during an interview in Peru's capital of Lima. "But I got involved in politics because I want to change my country." "I don't want my daughter to grow up wanting to leave Venezuela," she said, a reference to the roughly 3 million Venezuelans who have fled their country amid a collapsing economy, hyperinflation and shortages of food and medicines, and now blackouts . As her husband leads efforts to remove Maduro through protests at home and by trying to persuade Venezuela's military to abandon the socialist leader, Rosales is trying to drum up international support for Venezuela's beleaguered opposition with highly publicized tours of neighboring countries. 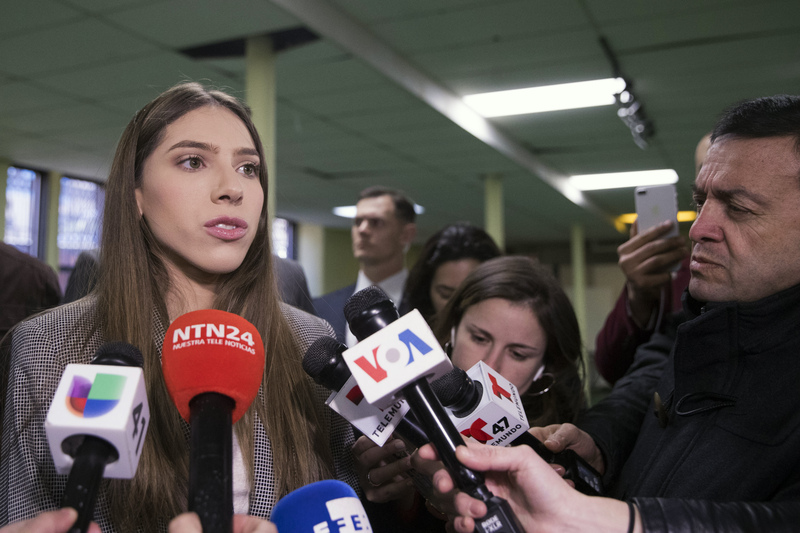 This month she traveled to Peru and Chile, where she met with the presidents of both countries, and spoke in universities about Venezuela's humanitarian crisis. 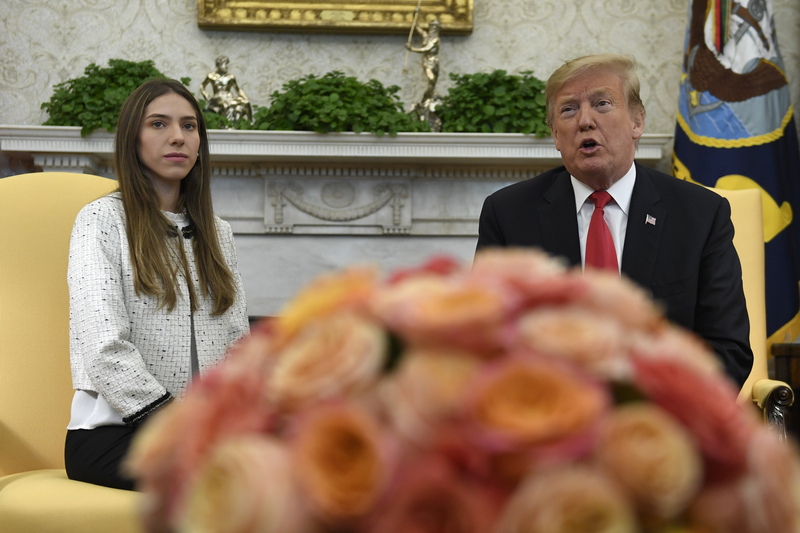 On Wednesday, she met U.S. President Donald Trump at the White House as the U.S. ratchets up sanctions on the Maduro administration. "It's a great honor to have the first lady of Venezuela," Trump said. "She's been through what people don't want to have to go through and should never have to go through." Rosales met her husband at a youth rally for Voluntad Popular, an opposition party she has worked with since her university years. She has become a household name in Venezuela in recent months, standing at her husband's side in rallies attended by thousands. Recently, she has also taken on the role of international ambassador for Venezuela's opposition, as her husband becomes bogged down in domestic affairs. 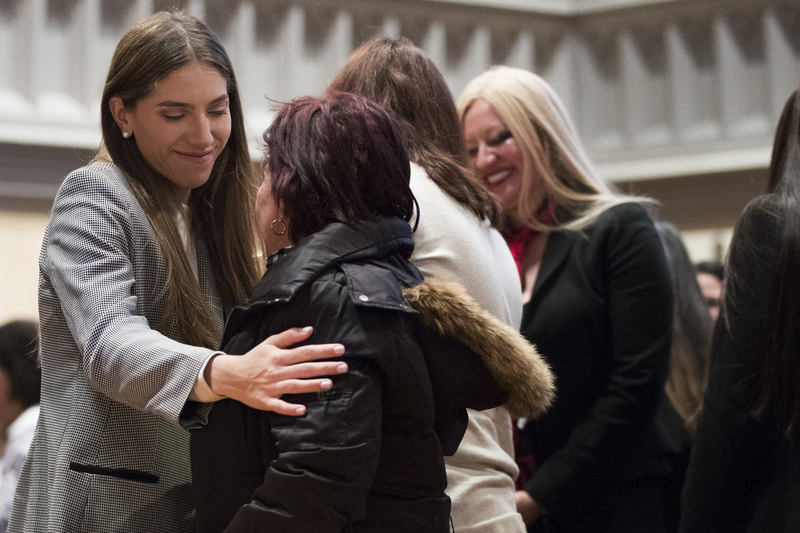 "She is a professional, young, educated woman, and to a certain extent she is conservative," Pantoulas said. "That image corresponds to (Venezuelan) stereotypes of what a presidential couple should look like, especially for those in the middle classes." In the interview, Rosales say that her "most important role is to be a mother, and I'm also a sister and wife." Guaido declared himself Venezuela's interim president in late January. The opposition leader was serving as the president of Venezuela's Congress, and said the constitution allowed him to form a transitional government because Maduro had been re-elected in a sham vote last year. The political challenge turned Guaido into an instant target of the Maduro administration, which blamed him of organizing violent protests and quickly put him under a travel ban. Guaido snuck out of Venezuela for a one week tour of South America, in which he led a failed effort to move several tons of food and medicine into the country. But upon returning he has focused most of his energy on sustaining his movement, which has lost some of its momentum, as Maduro remains in power and Venezuelans focus on the difficult task of surviving. 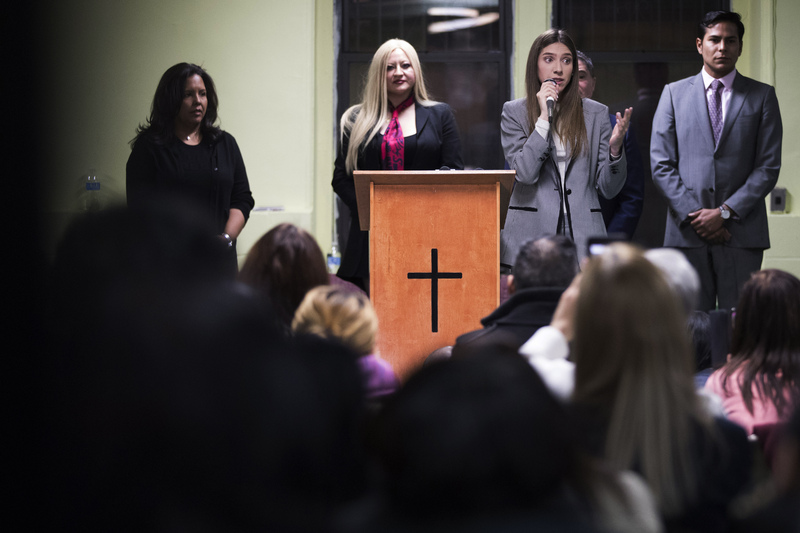 In her recent trips abroad, Rosales has met with large crowds of Venezuelan migrants, urging them to keep their faith in her husband and telling regional leaders that "a dictator" like Maduro does not fall in a matter of days. She says the Venezuelan opposition is making progress, designating ambassadors around the world, and recovering control of Venezuelan oil assets abroad with the help of the United States. 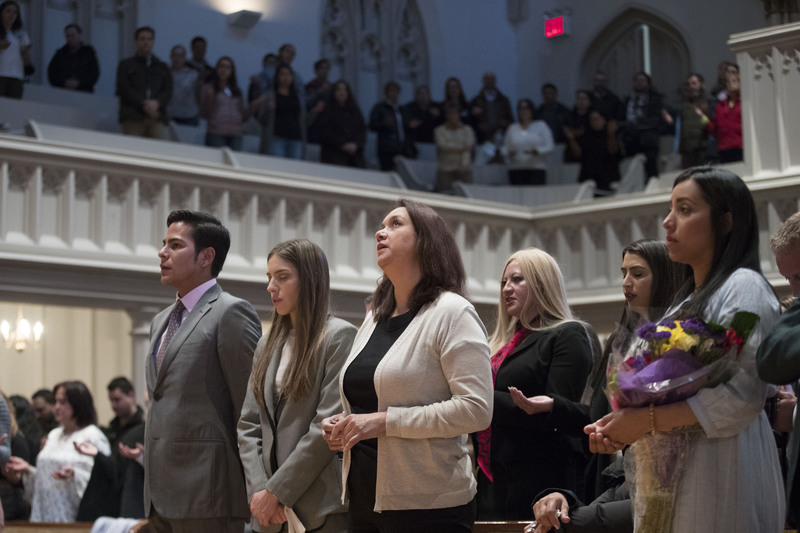 Rosales' opponents have cast her recent tour as a desperate attempt to keep Guaido in the international spotlight, as the Venezuelan crisis drags on and the world's attention moves elsewhere. "She is trying to boost Guaido's image, as support for his movement in Venezuela deflates," Arevalo Mendez, Maduro's ambassador to Chile, told a local news outlet last week. The daughter of a journalist and a farmer from the rural state of Merida, Rosales says she became interested in social issues early as she accompanied her mother to interviews. Rosales says she has gone through many of the travails currently faced by Venezuelans, including the harrowing medicine shortages. Her father died in 2013, after suffering a heart attack. He could have survived Rosales said, but there was no medicine in his village to stabilize him, and no ambulance to take him to the nearest hospital. Manuel Rueda reported from Bogota, Colombia.